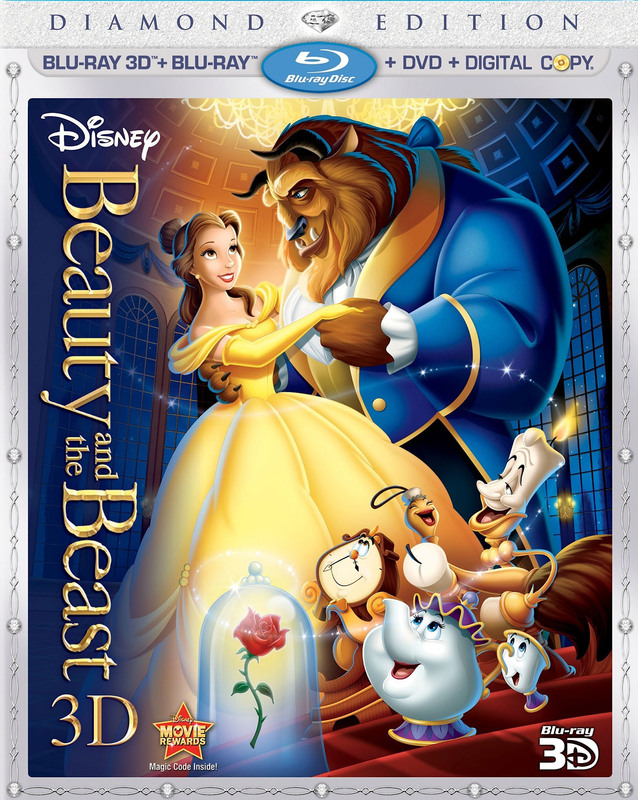 It seems that soon after Disney releases their 2D to 3D conversion of the Lion King animation for a short run in 3D movie theaters and then when it becomes available on Blu-ray 3D media, they are also going to have the Beauty and the Beast in 3D (converted from the 2D original) on Blu-ray 3D. The date is 4th of October in the US and you can already pre-order the Beauty and the Beast on Blu-ray 3D , but unlike Lion King 3D that you can already buy on Blu-ray 3D in France for example, the Blu-ray 3D version of the Beauty and the Beast 3D will be available in November there. A lot of people are skeptical about these 2D to 3D conversions of old classical animations (and live action movies as well), especially considering that they are using hand-drawn type of animation rather than computer generated 3D animation like most more recent titles. But after watching the Lion King 3D I can say that it was converted quite good, at first I was paying too much attention to to the volume effect looking for stereoscopic window violations and such, but very quickly my attention has moved to the story and I kind of forgot about the fact that the movie was in 3D. That is the kind of experience you should be getting from a 3D movie, unless of course the story the movie is so bad, the actors aren’t doing well and the visual effects don’t look good, so even the fact that the movie is in 3D won’t do it any good. Luckily the case with the Lion King isn’t such and for that matter with the Beauty and the Beast as well, so if the 3D effect (even if it is a conversion) does its job well in order to get you deeper into the story and not trying to impress you with just itself (things randomly jumping out at you), then things are as they should be. Ask any professional and he will tell you that 3D should ideally be just another tool for telling the story to the audience and it should not be used as a cheap effect to impress them for a brief moment… that is if you are making a good 3D movie. But if you are converting something that was meant for 2D and now you are doing it in 3D it is harder and you should be extra careful as mistakes are easy to make. And there were a few moments that bothered me with the 3D-ness in the Lion King, but overall I’ve liked the experience and I’ll be interested in watching the Beauty and the Beast in 3D as well. It seems that another old and popular movie will be getting the 2D to 3D treatment and hitting back the big screen, this time it is Tony Scott’s 1986 classic movie Top Gun starring Tom Cruise. A four-minute preview of the converted movie showing some aerial flight sequences has been screened at the International Broadcasting Convention (IBC) currently being held in Amsterdam, with the fully converted movie expected to hit the big screen in early 2012. The 2D to 3D conversion of the short preview and the full movie as well will be done by Legend3D, but they will not only do the conversion (covering the cost), they will also be getting some of the revenue from the 3D release of the movie thanks to their interesting deal with Paramount Pictures. If successful this business model may as well open up new possibilities for both 2D to 3D conversion companies and movie studios in bringing back to life old 2D movies by sharing the costs and revenue. 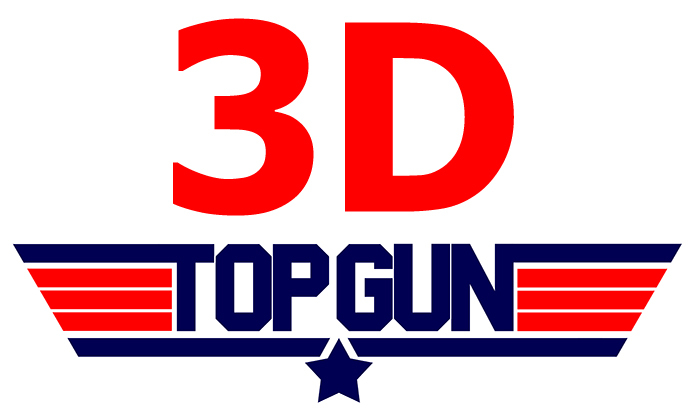 What is the most interesting in converting the movie Top Gun to 3D will be the fact that the movies has a lot of aerial flight and that can turn out pretty well in 3D and look very impressive if properly converted (even some nice pop-out). And we’ve already seen some very good conversions from Legend3D and considering the company will be covering the costs for the process we can expect very good results from Top Gun in 3D. I guess we’ll have to wait a bit more and see if this project will turn out to be a success or not, but we can have high hopes for it. Next year we are also expecting a few more old 2D movies to be revived and converted to 3D to make their appearance among which is Star Wars: Episode I as well as James Cameron’s hit movie Titanic. Gimpel3D is a free application that can help you convert a single 2D image or image sequence into stereoscopic 3D written by René Gimpel. Have in mind that this is not like the traditional 2D to 3D autoconversion solutions that do everything by themselves, you have to do a lot of things manually to make it work, but the end result can be much more convincing than that of an automatic conversion software. Gimpel3D uses a combination of traditional approaches as well as a proprietary projective modeling system that is used to actually remodel the 2D image into a something that resembles a true 3D scene that can be rendered into a realistically looking stereoscopic 3D image. The user works in true proportional space where the scene can be viewed from any location and the scene is edited geometrically in space using tools specifically designed to work with the perspective projection of the image. So in order to be able to work with this software, some previous experience with 3D modeling and animation software packages may be of great help. And if you are totally new into stereo 3D, then this software may be quite hard to understand and use, so you better start with something more automated.